When it comes to setting up your Lay-Z-Spa you likely know where you are going to put it, however it is also important to think about what it is going on too. 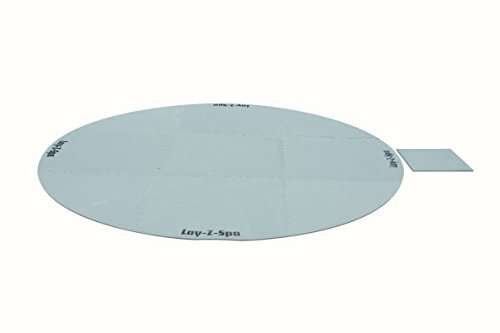 This hot tub floor protector from Lay-Z-Spa is ideal for their full range of spas and perfectly designed to sit your spa on. If you are placing your spa outside on your slabbed patio then the Bestway Lay-Z-Spa Floor Protector is a must, and this is for two reasons. One is will prevent any damage to the bottom of the spa, and debris, stone, spike and nails from puncturing the spa. 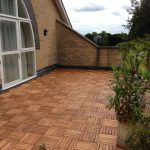 More importantly is reason two, the floor protector will act as insulation, helping keep your spa warm and not to lose heat through the bottom and into the cold slabs it sits on in the evening. This will help reduce your heating costs and also make it a little more comfortable to sit in with the extra sponge from the protector. Made from a soft foam that you would see used at a gym or under playground equipment it is soft and comfortable to walk over making it ideal to protect your spa and also add insulation to the base. The floor protector is quick and easy to put down, it is put together like a jigsaw with just 9 pieces, so it is straight forward to join up. The thickness is 7.5mm and once out together the diameter is 2110mm. 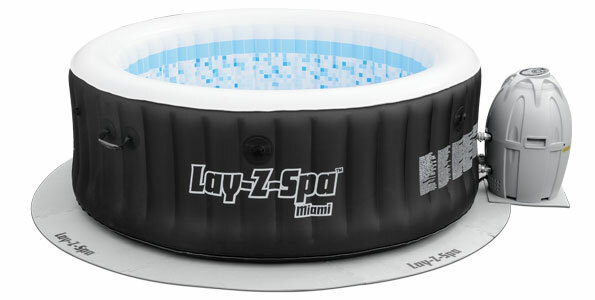 This is ideal for the Lay-Z-Spa range including the Palm, Miami and Vegas. 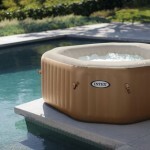 If you have an inflatable spa then this is something you should also get, it will not only make it a little more comfortable to sit it, but also help keep your spa warmer and reduce your heating bills for the hot tub. What Should You Put Your Hot Tub On? How Much does it Cost to run an Inflatable Hot Tub?